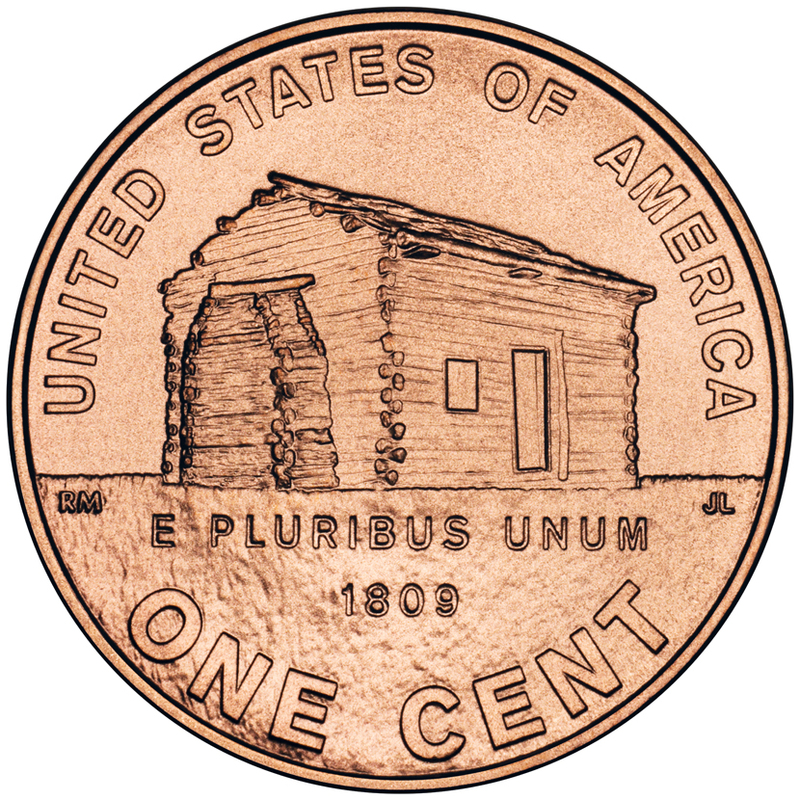 The Lincoln Log Cabin penny was put into circulation during the late winter of 2009 and represents the first of 4 special 2009 Lincoln cent designs honoring the 200th anniversary of Lincoln's birth. The Lincoln Log Cabin penny is sought after by coin collectors and is especially treasured in uncirculated grades and proof condition. * The usual copper-coated zinc Lincoln cents were made for circulation in 2009. * 2009 Lincoln cents made for mint sets and proof sets were made from a 95% copper, 5% tin and zinc composition -- the same metal combination originally used for Lincoln cents when they were first struck in 1909.